The new Apple Music profile page in iOS 11 is Cupertino’s latest attempt at making its music properties more social. Here’s a quick look at the new feature, at least as it stands with iOS 11 beta 2. Ever since discontinuing the ill-fated iTunes Ping service in 2012, Apple’s been looking for a fresh way to add a social component to iTunes. 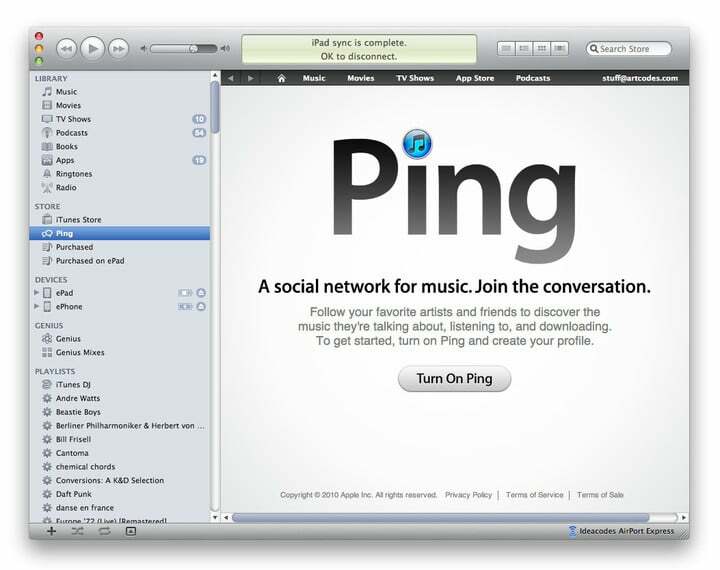 The first post-Ping attempt, Connect, launched alongside Apple Music in 2015 and allowed users to follow artists. Though Connect lost a prominent place in Apple Music beginning with iOS 10, it was never completely removed. In iOS 11, elements of Connect are part of the new Apple Music profile page. The new profile page is accessible from the top of the For You tab in Apple Music. When clicking on this for the first time, you’ll be asked to add an image and nickname. 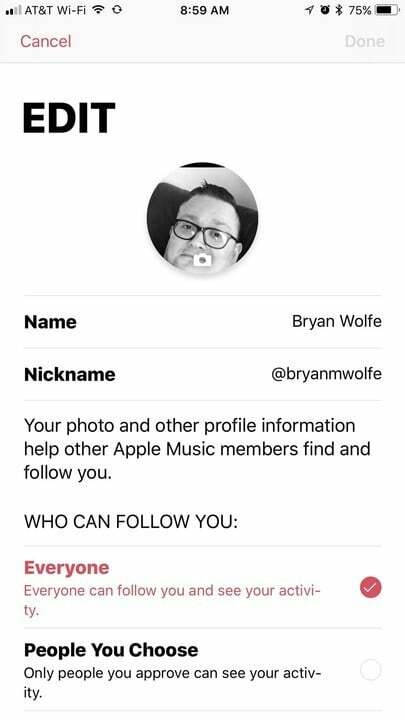 The latter is how other Apple Music users can find you. In my case, I selected a nickname that matches my Twitter account, @bryanmwolfe. 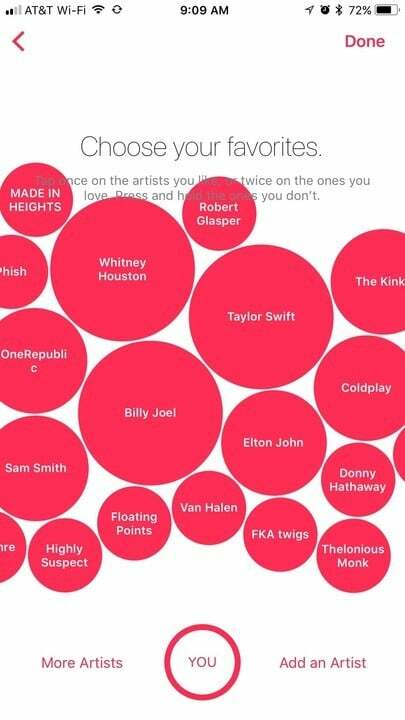 Next, select Choose Artists For You, to identify the type of music you’re into. This screen should look familiar. 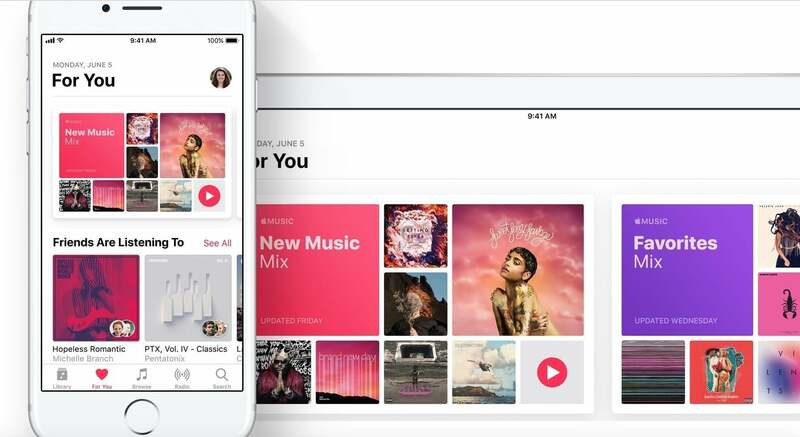 It’s the one Apple Music has been using since the service launched in 2015. On the next screen, choose some of your favorite artists based on your music preferences from the previous screen. Again, click on bubbles to select; the bigger the bubble, the more you like someone. Hit “Done” to complete this step. Now it’s time to Discover Music With Friends. From this screen, you’re able to share music, see your friends’ music, and discover new music together. Click “Get Started” to activate. On the next screen, Apple Music suggests playlists for your profile page and in search. By default, all of your playlists are turned on. Use the toggles to turn off the ones you don’t want to share. My advice: Delete the playlists you no longer want and only share the ones you really enjoy, not all of them. 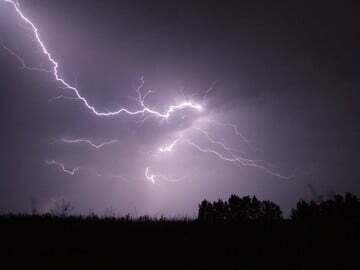 Artists and Shows – When there are new releases of your favorite music, TV and radio shows. Friends – When friends join Apple Music or start following you. Not surprisingly, the actual Apple Music profile page remains a work in process, at least in the iOS 11 beta stage. For now, it includes links to your favorite playlists and recent music. 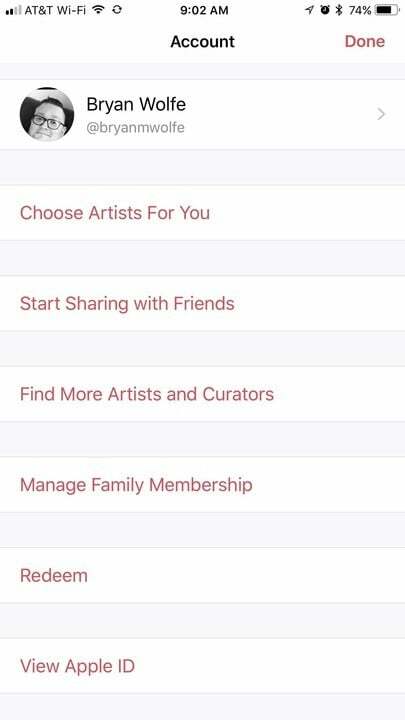 Once iOS 11 goes live, you’ll also find links to your friend’s interests and artist information. Even in beta, I’m starting to enjoy the new profile page in iOS 11 and can’t wait to see how it develops over the coming months. Stay tuned. The second iOS 11 beta is available to developers. The first public beta of iOS 11 could be released as early as next week. 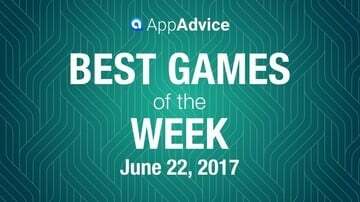 The final release of iOS 11 should launch in September. 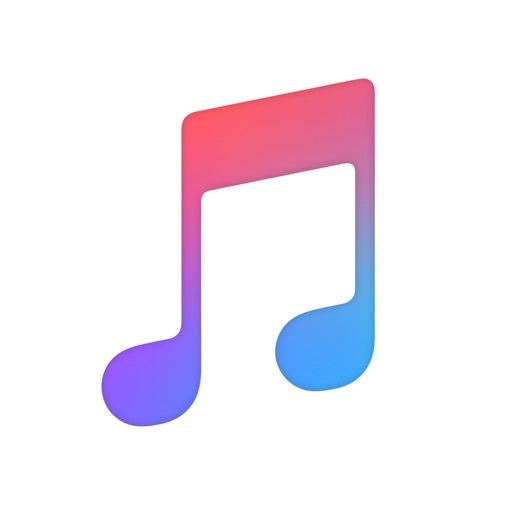 What do you think of the new Apple Music profile page? Let us know in the comments below.